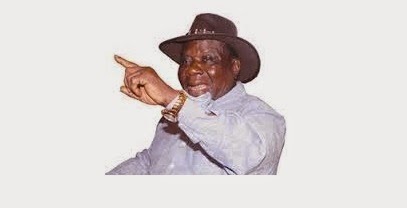 A Former Federal Commissioner, Chief Edwin Clark, has said the Economic and Financial Crimes Commission has lost focus. He, therefore, called on President Goodluck Jonathan to re-organise the anti-graft agency for effective discharge of its mandate to investigate and prosecute corrupt Nigerians. Clark stated this while addressing a press conference in Abuja on Friday. He stated that the anti-graft agency had lost its focus of prosecuting corrupt officials but now go after those involved in cyber and petty crimes. Clark was speaking against the background ‎of the claim by the Presidential candidate of the All Progressives Congress, Maj. Gen. Muhammadu Buhari(retd. ), that his fight against corruption will start on May 29, 2015 when he would have been sworn-in as the President, if he wins the March 28 Presidential elections. Buhari had claimed that in his fight against corruption, he would not go after those that might have been involved in stealing of public funds before May 29, 2015. Clark noted that the implication of Buhari’s statement was that those who were facing corrupt charges or accused of corruption before May 29, 2015 would be pardoned. He noted that those funding Buhari’s campaign are beginning to question him whether he will prosecute them when he gets into power. Clark further stated that it was on that note that Buhari changed the tune of his music as to when he will begin his fight against corruption.